Nissan has delivered the first Juke-R to a customer who was willing to pay at least 500,000 Euros for this model. 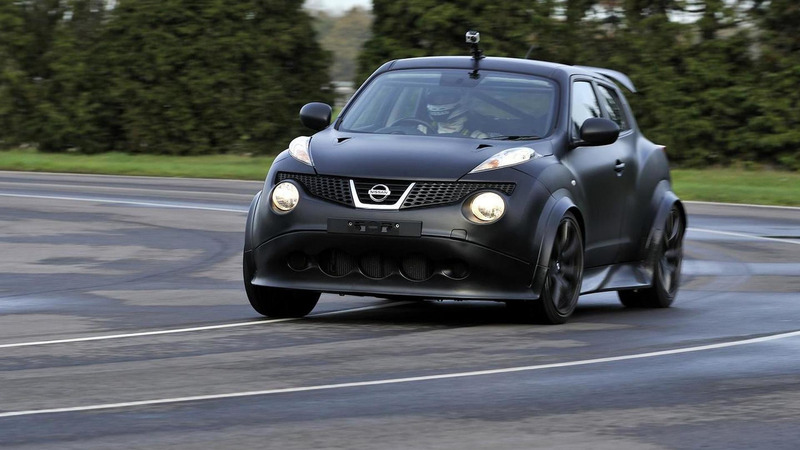 As a reminder, the Juke-R borrows the drivetrain and suspension from the GT-R, along with a FIA-spec roll cage. Under its hood there’s a V6 3.8-liter engine with 545 hp (406 kW) which makes it the fastest crossover on the market. While the regular Juke completes the 0-62 mph (0-100 km/h) sprint in 8.6 seconds and can hit 124 mph (200 km/h), the Juke-R reaches 62 mph in only 3 seconds and tops at 171 mph (275 km/h). As far as the Juke NISMO is concerned, Nissan says that it will go on sale in early 2013. It has the 1.6-liter engine from the DIG-T version but it’s been tweaked to churn 215 hp (160 kW). In addition, the front and rear bumpers adopt a new look, along with wider side skirts, 18-inch alloys and a fresh front grille. It will be offered in both two-wheel drive and four-wheel drive versions. In related news, the Juke-R along with the Juke NISMO have been digitally recreated to star in the new Gameloft Asphalt 7: Heat mobile racing game. Check out the promo below.